EDMONTON, AB – Stony Plain Records announces a July 17 release date for the latest in its series of Best of the Stony Plain Years compilations with a set from the late guitarist extraordinaire, Jeff Healey, Vintage Jazz, Swing and Blues. Compiled with the participation of Jeff’s widow, Cristie, as well as long-time friend Roger Costa, Jeff Healey’s Best of the Stony Plain Years CD includes 11 tracks from his four Stony Plain albums of vintage jazz and swing projects, as well as “Sweet Georgia Brown,” a track previously released on a promotion-only CD sampler that also features jazz legend Chris Barber on trombone. The CD carries a special reduced list price of $12.98. 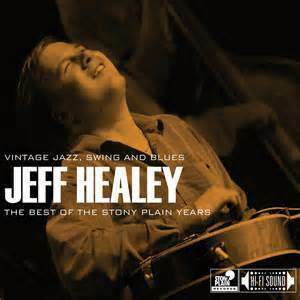 “Stony Plain was honored to release Jeff Healey’s four vintage jazz/swing projects, plus a DVD with his beloved Jazz Wizards,” writes Holger Petersen, Stony Plain president and a close friend of Healey’s, in the album’s liner notes. 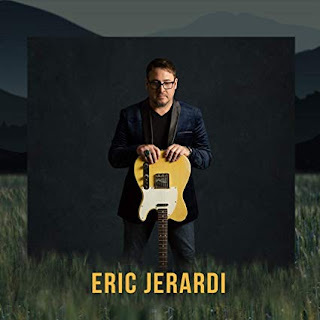 “This music was his first love allowing him to play guitar and trumpet in addition to having a career as one of the worlds most acclaimed and innovative electric blues and rock musicians. “Jeff Healey (1966-2008) was a musicologist and serious record collector who eventually amassed 30,000 78s from the classic period of the twenties and thirties,” Petersen states. “He started playing guitar at age three and invented his own “lap” style of playing. 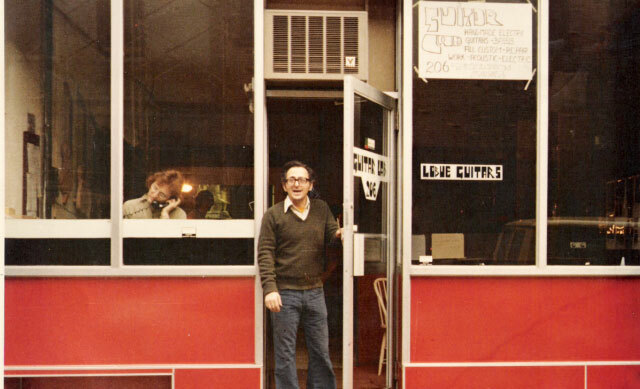 By the age of 14, Jeff was already a highly respected jazz broadcaster on CBC Radio, and later JAZZ.FM91 in Toronto. He became one of Canada’s most acclaimed guitarists, singers and bandleaders with The Jeff Healey Band and sold millions of records worldwide. By the late ‘90s, Jeff tired of the constant travel and the life of being a “rock star.” He disbanded the JHB shortly after opening a club in Toronto called Healey’s and with the help of Colin Bray, formed Jeff Healey’s Jazz Wizards to play the music he loved on Saturday afternoons, in addition to regularly playing with his new blues rock band. “We started to work together in 2005 at a time when Jeff only wanted to record classic jazz. We promptly recorded the live album It’s Tight Like That with legendary British trombonist and band leader Chris Barber. We followed that up with reissues of his two previous jazz albums, plus a live DVD. Jeff eventually did go back to record two electric blues based albums for Stony Plain including Mess Of Blues, which won the Blues Foundation’s ‘Rock Blues Album Of The Year’ award in 2009. Jeff’s final studio album, Last Call, was released posthumously in 2010. “It was a stripped-down solo, duo and trio recording that could be called The Real Jeff Healey. It shows his love for all musical styles and features some of his best guitar and trumpet playing with heartfelt singing. 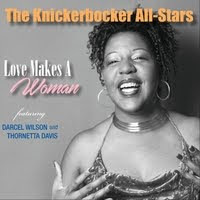 His duet with violinist Drew Jurecka on ‘The Wild Cat’ is a highlight. Swing and Blues and other CDs in the series from Joe Louis Walker and Long John Baldry, visit www.stonyplainrecords.com.